ogi Adityanath has taken over as the Chief Minister of Uttar Pradesh. But many, including those who voted for the Bharatiya Janata Party (BJP) and Prime Minister Narendra Modi's development agenda, are still scratching their heads as to why a Hindutva hardliner has been chosen for the job. Speculation is now rife that this choice was made by the Rashtriya Swayamsevak Sangh (RSS), the BJP's ideological fount. But the question remains, why choose a rabble-rouser like Adityanath? Were Modi and BJP national president Amit Shah on board with this decision, or was Yogi hoisted on them by the RSS? Sources say the RSS felt that Modi was going soft on the Hindutva agenda, and focusing too much on his image as a man of development. This went against the Sangh's wish for a Hindu Rashtra, which includes officially renaming the country as 'Bharat', as it occurs in Hindu mythology. Among his other achievements, five-time Lok Sabha MP Adityanath is credited with a resolution seeking a change in the Constitution – 'India that is Bharat' must become 'Bharat that is Hindustan'. His stand on cow slaughter is also well known. 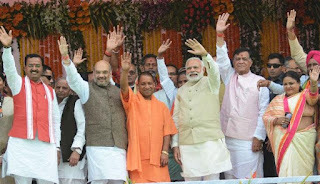 Given the polarisation that brought the BJP over 40% of the votes polled in the recent UP elections, and given the brute majority the party enjoys in the new Assembly – 312 seats out of 403 on its own, and 325 with allies – the RSS saw this as the perfect time to return to a strong Hindutva-based agenda. Yogi's appointment, therefore, is being viewed as a move to keep Modi in check. Given his following among a large section of Hindus as the 'saviour' of the religion, Yogi would suit the RSS more than Modi. 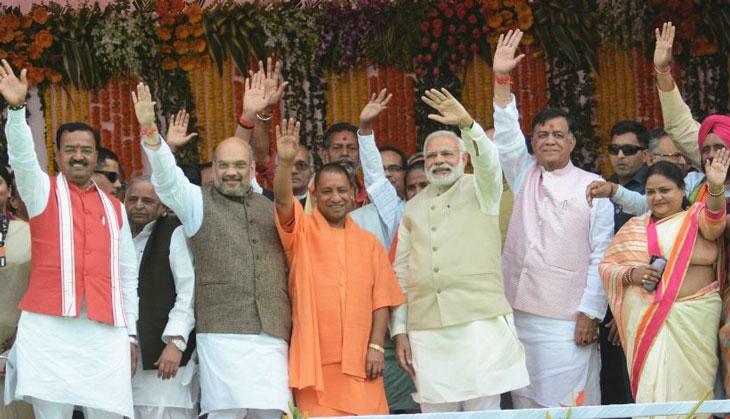 0 Response to "Hindutva's new poster boy: Yogi could turn out to be a challenger to Modi"